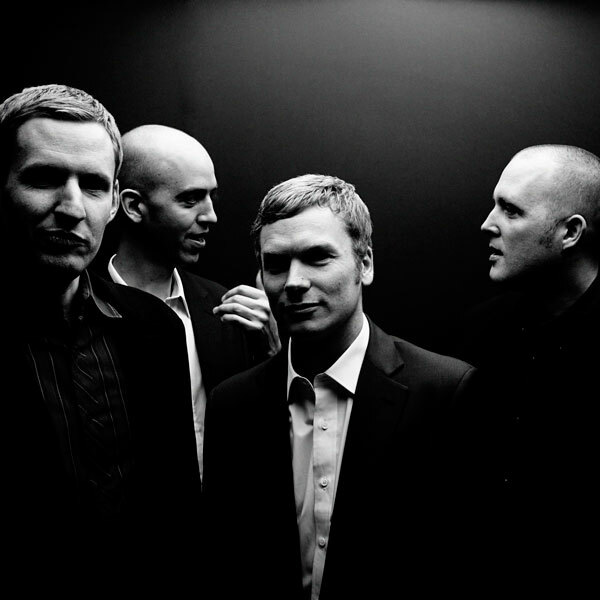 Peripheral Vision is one of the most exciting and innovative jazz quartets to have recently appeared on the international jazz scene. Based in Toronto, the creative leaders of the group are long time musical collaborators, guitarist Don Scott and bassist Michael Herring. They have assembled a synergistic musical unit designed to push the boundaries of jazz while engaging the listener with a grooving, toe-tapping immediacy. Their distinctive musical voice bridges tradition and innovation, with deeply felt influences ranging from jazz, rock, classical, and improv, with a focus on dynamic group interaction. Following up on their 2016 JUNO nomination, Peripheral Vision is excited to be touring in support of their fourth CD release, More Songs About Error and Shame. They also were awarded the Montreal Jazz Festival’s Galaxie Rising Star Award. Scott and Herring are joined by saxophonist Trevor Hogg and drummer Nick Fraser. While the compositions are Herring and Scott's, Peripheral Vision is defined by its group rapport. Bringing back the anything-is-possible democratic approach of both 1960's jazz and garage bands, the music takes shape as a collective process. This no-holds-barred philosophy is at the root of Peripheral Vision's explosive performances. Check out the Tranzac Club's calendar for our long-running First-Tuesday of the Month series. There's a different guest band opening each month starting at 10pm.